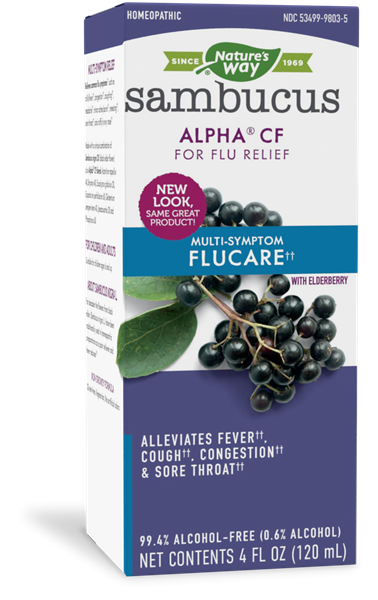 Sambucus FluCare / 4 fluid oz - Nature's Way®. For best results, use at first sign of symptoms. Use only with enclosed dosage cup. Adults & children 12 years of age and older: Take 2 teaspoons (tsp) (10 mL) four times daily.